Briggs was an accomplished player, winning two Women’s Nationals, but her greatest contribution to the game was off-the-court as chair of both the Woman’s Tournament Committee and the Player’s Committee during a period of rapid growth for the game that brought with it considerable challenges. 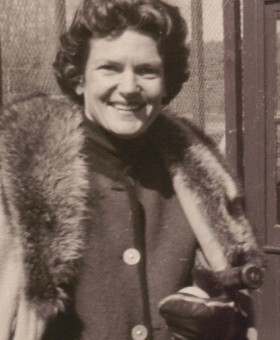 Elizabeth “Buffy” Briggs won two back-to-back Women’s Nationals in 1963 and 1964 and in her role as chair of the Woman’s Tournament Committee and the Players Committee acted as the liaison between the APTA and its largest sponsors at the time, Passport Scotch and Tribuno, a task that required extensive travel and endless decision-making. Buffy was also a strong supporter of developing B level events for those not competing in the big-money tournaments, and helped develop a point system to rank players as an alternative to the random seedings used earlier. Born in Fall River, MA, Briggs attended Miss Porter’s School in Farmington, CT, where she later became a trustee and the recipient of the prestigious Daisy Pin Award for outstanding contributions to the school. She graduated from Vassar in 1947. During her active playing days in the 1960s, Buffy was a two-time Women’s National Champion with Charlotte Lee, in back-to-back years, 1963 and 1964, and was a finalist in 1968. Just the fact that Charlotte teamed with her is a testament to her ability on the court. Though a skiing injury prevented her from continuing to compete at the top-level of play, her most important achievements in paddle were still ahead of her. If Holly White had known Buffy Briggs, it is likely her book might have been titled The Organization Woman. Briggs was responsible for many of the lasting innovations on the distaff side of our sport, and labored diligently to get people to work together. In 1974, she was appointed chairperson of the Women’s Tournament Committee on the APTA Board, and was also named chairperson of the newly formed Players’ Committee. With the rapid growth and popularity of our sport, the 1970′s was a time of considerable challenge, and also some controversy in women’s platform tennis. One problem was access to tournaments. New Jersey women were having a difficult, if not impossible, time getting into tournaments across the great divide we call the Hudson. River. Often, by the time they got their entries in, the draws had been filled. It was like getting an invitation to a party after it was over. Buffy faced much resentment about this inequity and set about fixing it. Those who toiled with her in women’s paddle all said she was the best organized woman they had ever met and that she put her heart and soul into the game. 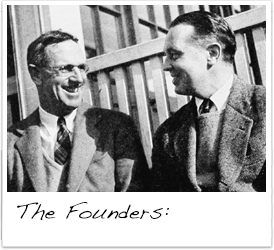 Brigg’s time in the corner office of women’s paddle also came during the incubation and growth of commercial sponsorship in our sport, with moneyed tournaments, the establishment of a true women’s tour, and all the problems and frustrations that pertained to these developments. Hers was a volunteer job but it carried the time demands and responsibilities normally associated with that of a paid position. She was everywhere the women played during the time when Passport and Tribuno sponsored competitions, and acted as a liaison between the sponsors and the APTA. Her travels took her to Chicago, Cleveland, and Cincinnati, to Washington, Philadelphia, and to Boston. With the travels came a seemingly never ending parade of decisions to be made—to play or not to play in bad weather; to wear or not to wear sponsor-provided clothing—as well as dealing with player disputes and altered draws as teams dropped out or were added. In this climate of “big-money,” the “A” player was naturally favored, but Buffy felt strongly that something should be done to encourage players one level or more down. So, at her urging, the concept of A and B tournaments was born. The B Tournaments would protect the amateur, while the A schedule could be the basis for a sponsored or open women’s tour. Winners in the B schedule would then also be able to move up. Another creative change was the introduction of loser playoffs. Losing quarterfinalists were expected to return for playoffs, thereby providing for more accuracy in rankings. She and her committee also developed the point system to seed and rank players, as the time had long-passed for random seeding. Some events were even designated “ranking tournaments” to attract stronger fields. Briggs was so good at her job that she held it for 10 long years, many of which were after her tour on the Board had ended. 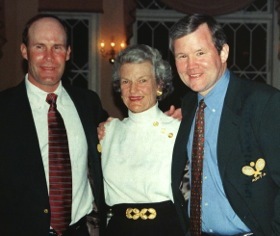 She truly was an organization woman and brought exciting ideas to the women’s tour.